Kishu Hidaka’s Kue｜Enjoy the regional taste of kue in the Kishu Hidaka district. groupers. Enjoy the regional taste of kue in the Kishu Hidaka district. The exquisite flavor spreads over the mouth for each bite. Enjoy the natural flavor of Kishu Hidaka’s specialty to your heart’s content. 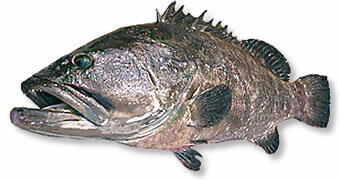 The kue (longtooth grouper) is a large fish that can be over one meter in length. It is also called “ara” in the Kyushu region, where the kue is also prized as a high-class fish. The reason is its delicate taste, which cannot be imagined from its rustic appearance. 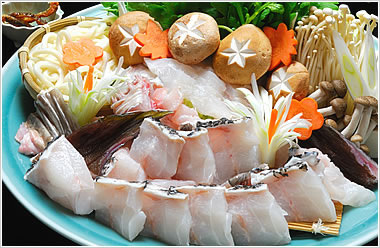 Its light flavor is never lost in kue sashimi or pot dishes, which always please people. The fatty part of the white meat with sweetness like a fatty cut of high-quality tuna belly meat deeply impresses gourmets. The gelatin between the body and skin has plentiful natural collagen. Anglers find only a few longtooth groupers in each fishing point. This is the reason the kue is often referred to as the phantom fish. Enjoy the taste of the natural phantom fish in Hidaka, the birthplace of local kue dishes. Oishinbo, a long-running cooking manga refers to this fish. Oishinbo is a work representing Japanese cuisine manga series.Its supreme taste was taken up in episode 590 “All Japan Prefecture Taste Tour - Wakayama 8.” Enjoy the taste of kue dishes in the town of Hidaka. The menu and tableware vary with each season, weather, and inn or guesthouse. 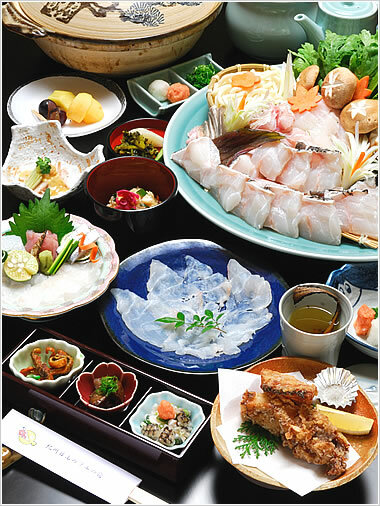 Inns and guesthouse registered with the Hidaka-cho Ryokan Minshuku Association serve genuine natural kue (longtooth grouper) dishes. In recent years, the kue has been known nationwide as a luxury fish with a phantom taste because the kue is so rare. Kue dishes are a local cuisine that originated in the town of Hidaka, Wakayama Prefecture. They have built a great reputation among gourmets since local inns served kue as specialty dishes to guests. 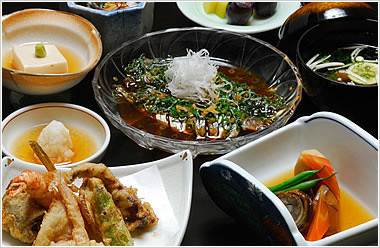 Enjoy kue dishes at inns or guesthouses in Hidaka, the birthplace of local kue dishes. Copyright(C) Hidaka-cho Ryokan Minshuku Association All Rights Reserved.